A quick post for today, mainly because I do not have much information on this record or the band, plus it has been a long week! 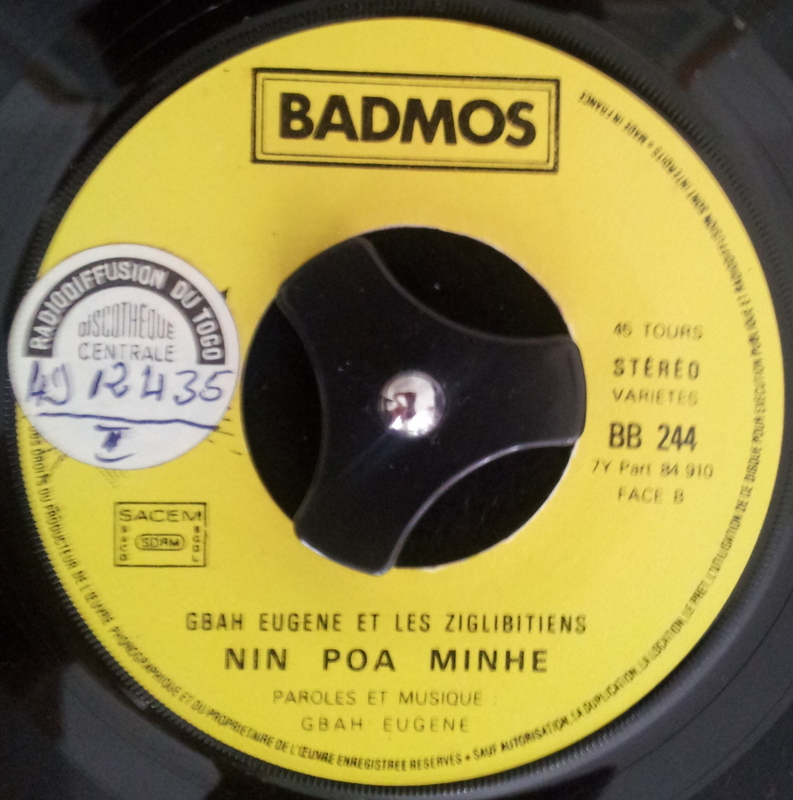 Gbah Eugene with backing from the band Ziglibitiens has recorded this single on the large Ivory Coast label, Badmos. 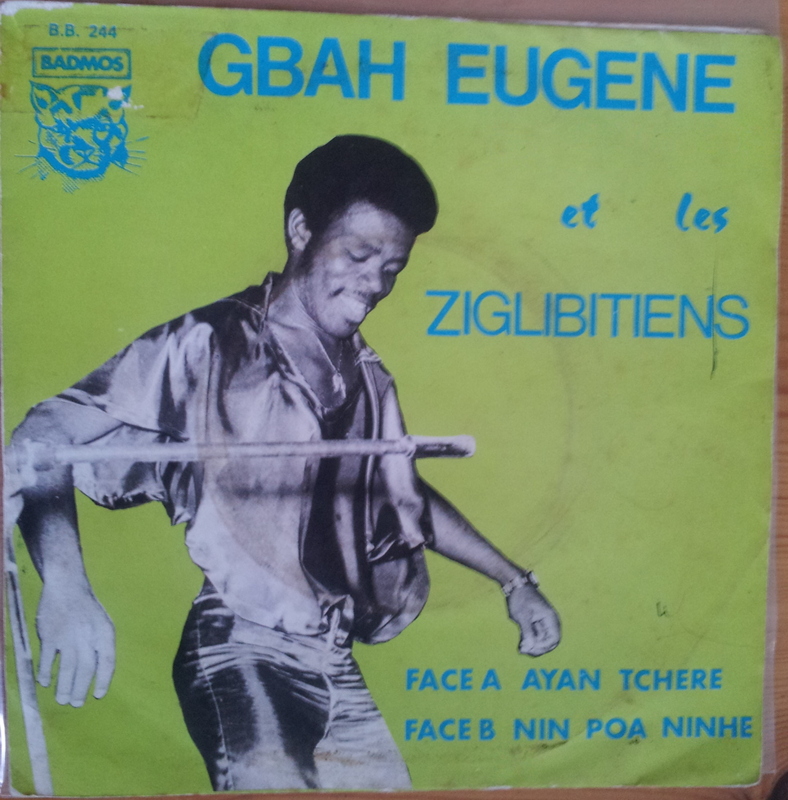 The band seem to have been named after the huge African hit Ziglibitien by Ivory Coast’s most popular musician Ernesto Djedje. 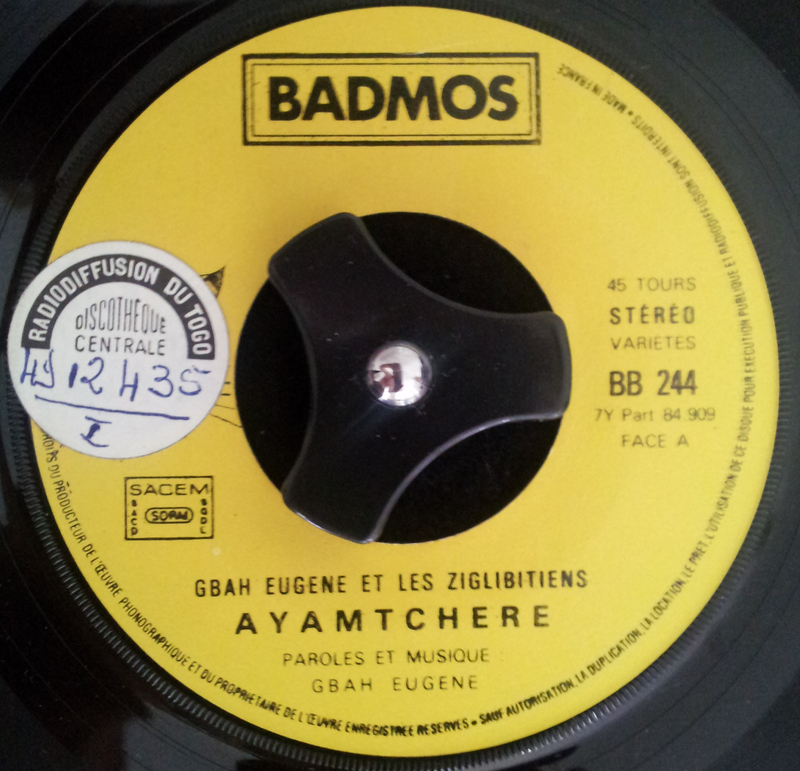 Today’s selection is the A side Ayamtchere. It is a great upbeat track complete with joyous vocals, lovely horns and a swirling organ. Staying in Mali and Ivory Coast today. 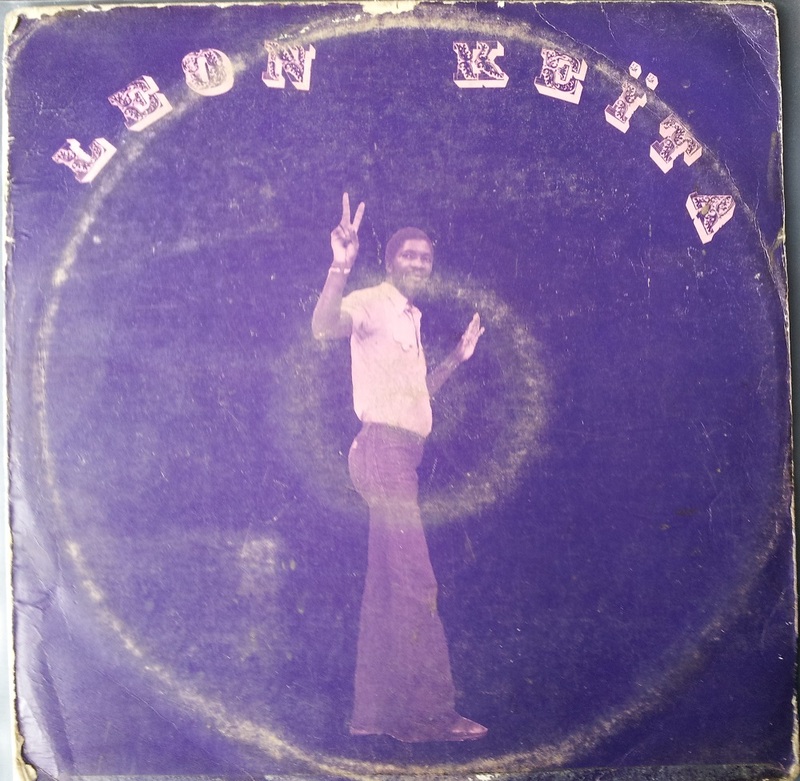 Leon Keita released two LPs, both untitled. 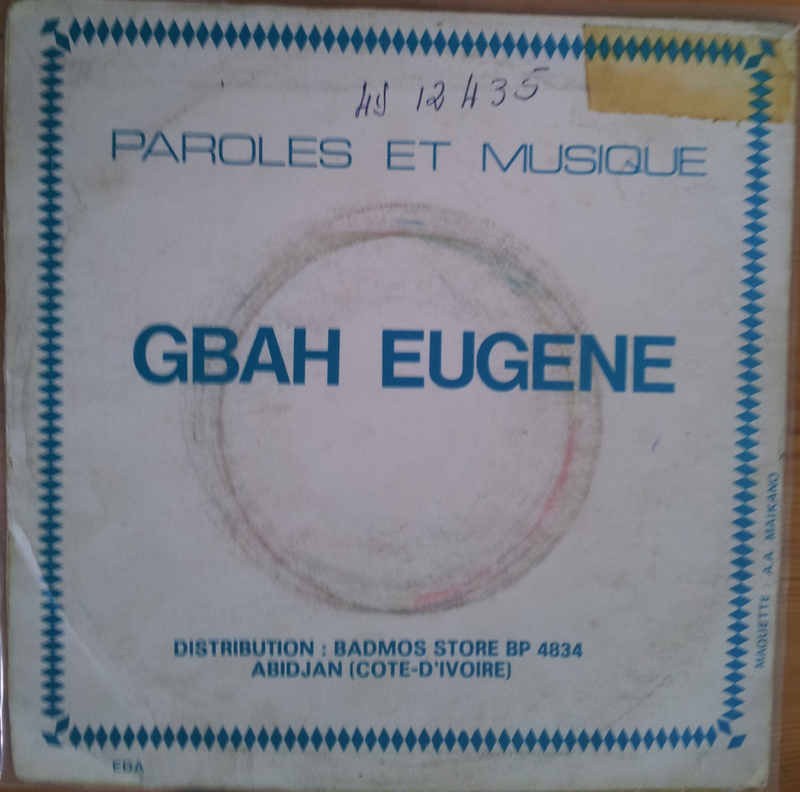 The first record, showing Keita sitting cross-legged and bordered in turquoise, came out in 1978 and featured vocals of Salif Keita on a couple of tracks. A year or two later, so we are looking at late 70’s, his second and arguably stronger album was released, showing Leon framed in purple standing, flashing a peace sign. 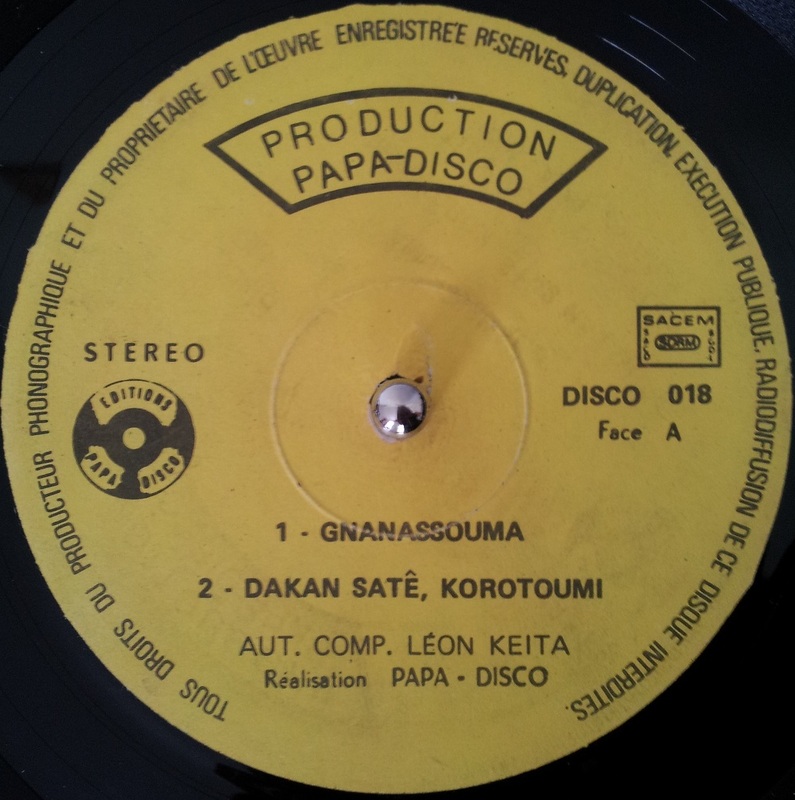 Both records were released on Leon Keita’s own Ivory Coast based, Disco-Papa label, which also released records by Pierre Antoine and Kambou Clement. 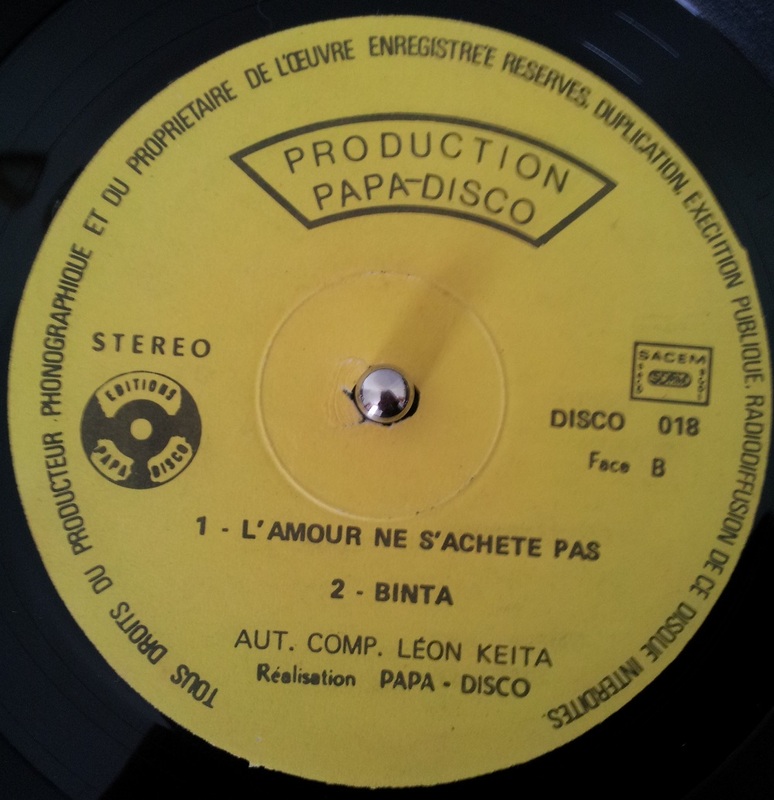 The selection from today, L’amour Ne S’achete Pas, “Love Cannot be Bought”, starts as typical Madingo music, in the Griot traditional of this region, but then descends into pure Afro Funk with trumpets, and an amazing organ solo. The effect is jaw dropping and a total departure from how the song started. 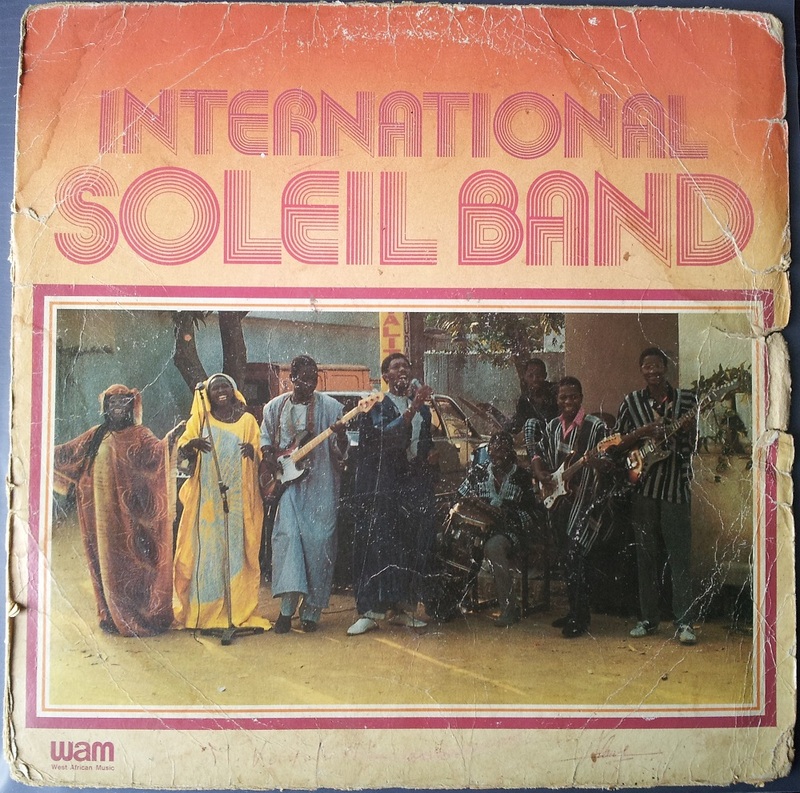 Today I have decided to stay in Mali and with the same band(s), as their influence is huge and warrants further coverage. It is only now that I am starting to see the staggering amount of artists and bands that have come out of this extended musical family. 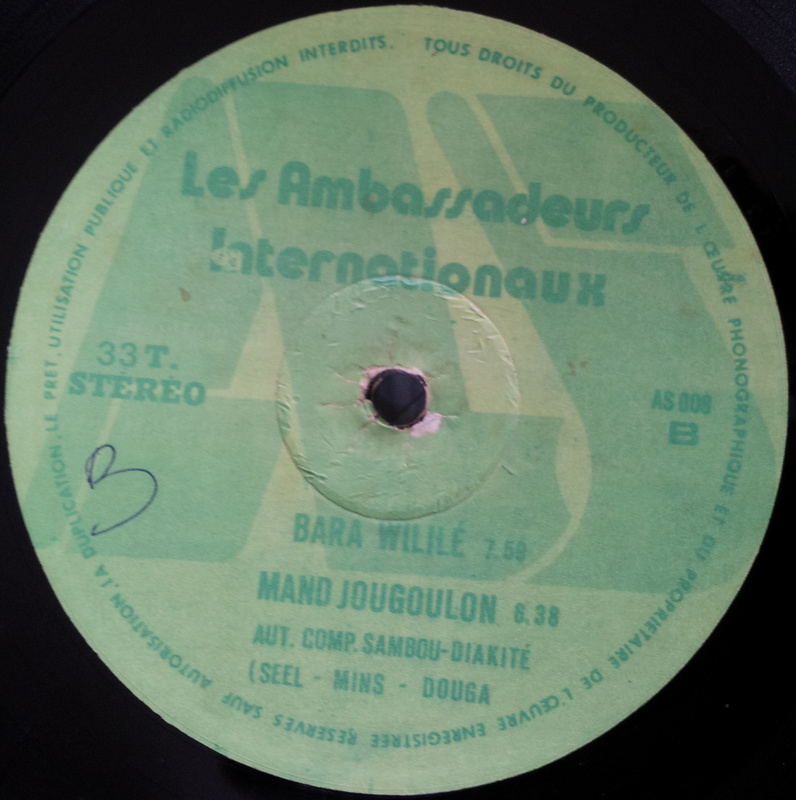 Les Ambassadeurs were rivaling the Rail Band as the biggest group in Mali in the 1970s, and to decide the title a battle of the bands concert was organised in 1974. Both bands had to write a song to perform at the gig to decide the most popular group. However, it was all in vain as a draw was agreed upon on the day. 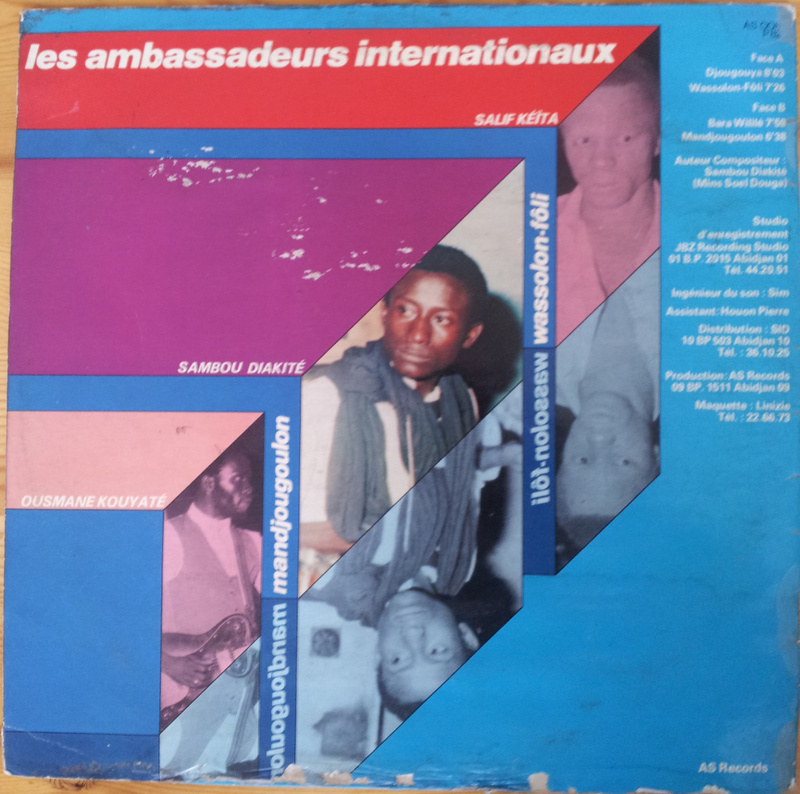 Economic problems in Mali meant that Les Ambassadeurs relocated to Abidjan, Ivory Coast, from 1978 and became Les Ambassadeurs Internationaux. 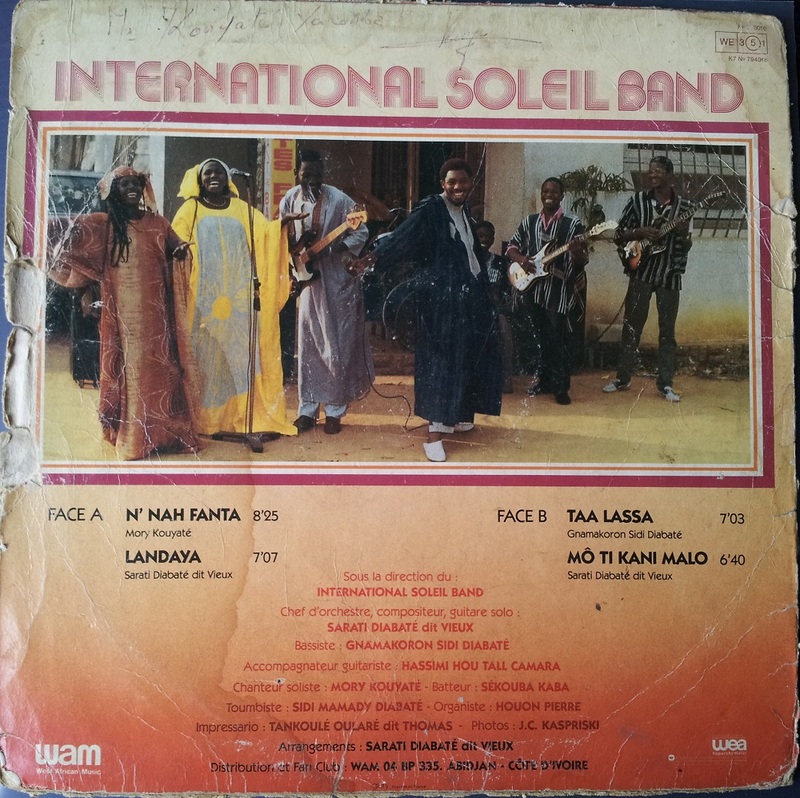 The band’s popularity continued to grow and they moved onto Paris in the early to mid 1980s becoming one of the most popular international African bands. 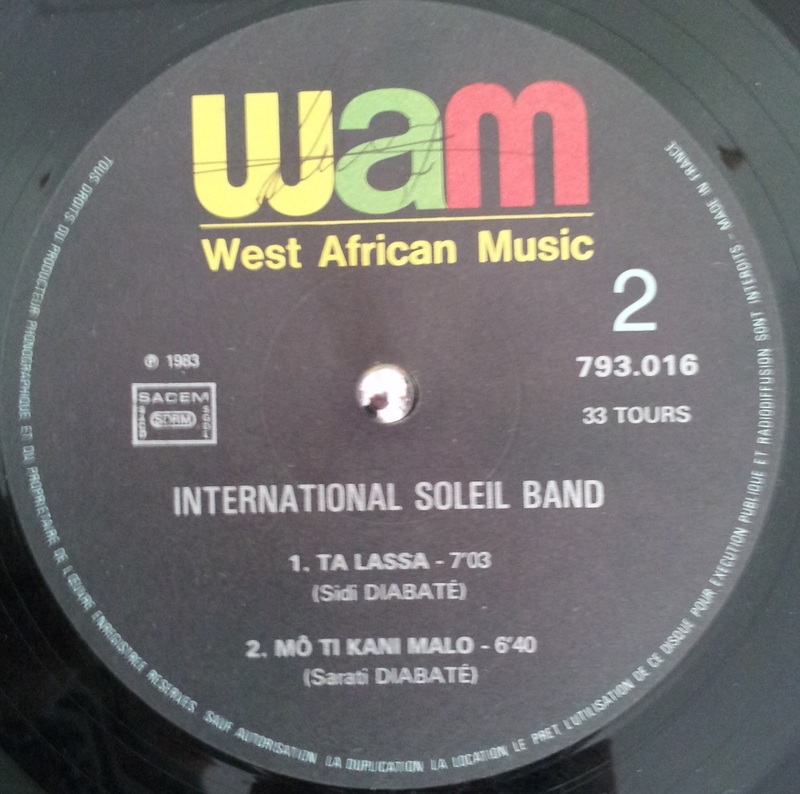 Today’s selection is from their early 80s album, on an Ivory Coast label, released around the same time that Salif Keita left the band for a solo career in Paris, to be replaced by Sorry Bamba. 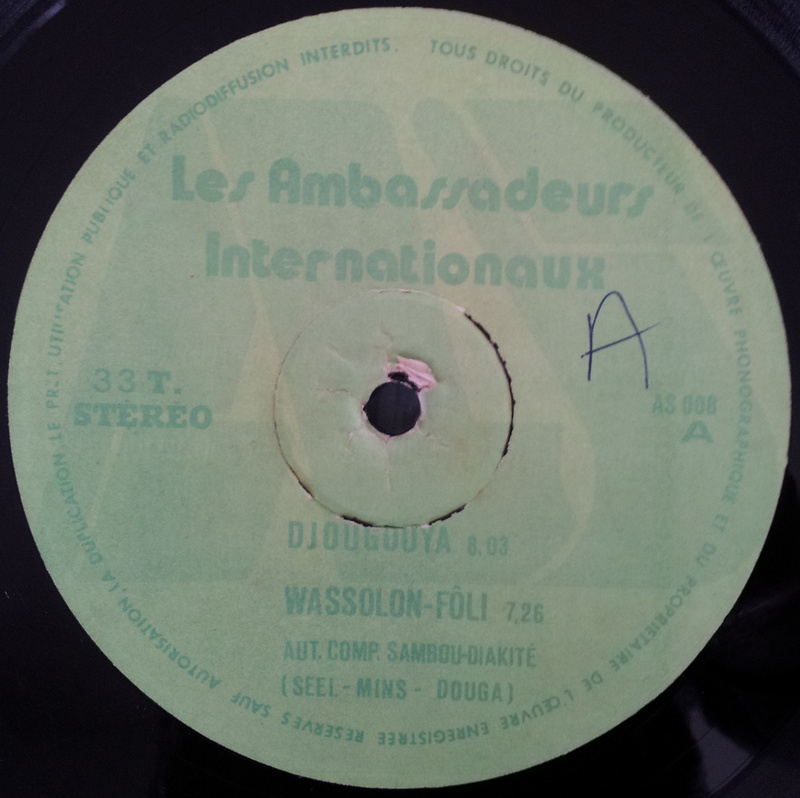 The western influence of Jazz and Funk are clear in today’s track, Wassalloun Foli, but the percussion and Keita’s vocals root it firmly in Africa. 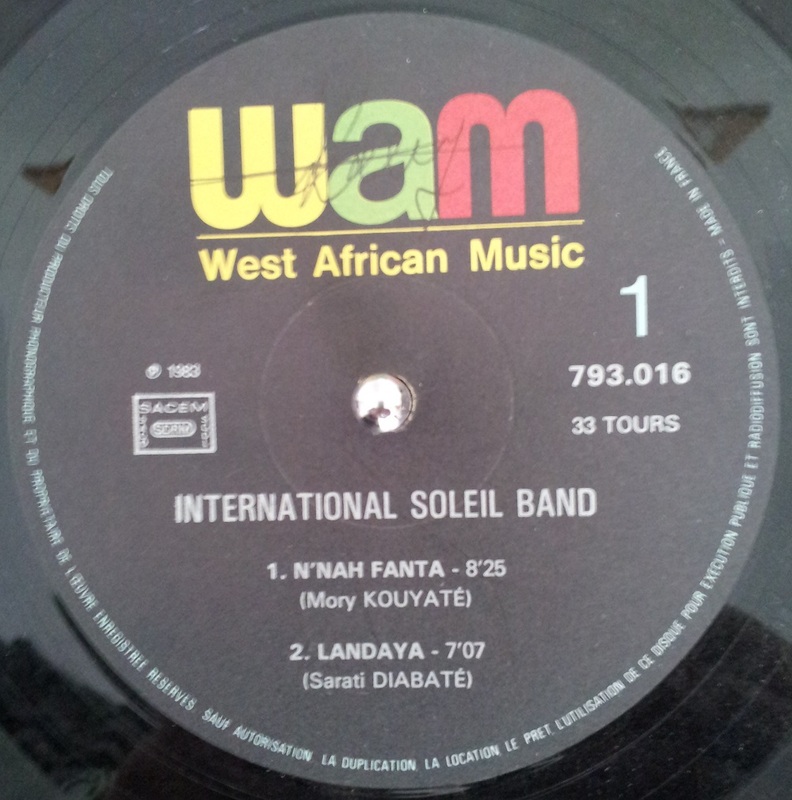 Strangely there is no mention of Kanté Manfila on the record but he was, to my knowledge, still the band’s leader despite the rivalry with Keita. For detailed information on Les Ambassadeurs and Rail Band‘s connections please see the valuable resource here.